An estimated 12,000 missionaries leave the field each year—about 71% of them leave for preventable reasons. It takes a great deal of resources to successfully launch a missionary family. Almost half of all missionaries (47%) leave the field within the first 5 years. We believe that our sending churches can have a substantial role coming alongside GMI to combat these numbers and help our missionaries to not only survive but to thrive on the mission field.  While much effort has been made over the years to promote the financial needs of missionaries and to pray for them on a regular basis, we believe the efforts to “minister” to our missionaries would be significantly enhanced by organizing and promoting church-wide missionary care ministries. Because of this we encourage Missions Committees to make missionary care a part of their overall missions effort. To nurture and support your missionaries and their efforts to fulfill God’s call for their lives. Visits (at least once per term)- The goal is to develop or enhance your relationship with your missionary as you see what they do and where they do it. The visits should be at least 3-5 days and include a mini-spiritual retreat for the family, ministering to both the adults and kids (Romans 1:11-12). Letters—Through email keep consistent communication with the family. Be aware of new developments in their ministry as well as their health and family situation. Prayer letters – ensure that their prayer letters are distributed to your entire congregation. Home Assignment support—Confirm HA schedule with them; confirm housing arrangements; stock their pantry; confirm that they have a car; meet them at the airport; give them time to adapt, adjust and unwind; help them find medical and dental care; help kids to connect with kids their age; watch the children for a parents’ night out; listen to them and provide opportunities for others to hear their story. • Updates from our church—send them DVDs and/or links to live streams of church ser- vices; recordings of special programs, or other things of interest.